Trigger finger (or stenosing tenosynovitis) occurs when a finger is stuck in the bent position, sometimes causing the finger to straighten suddenly. Trigger finger has to do with the tendon (i.e., the tissue that connects muscle to bone) and how it interacts with the tendon sheath. The tendon sheath is a tunnel of tissue following the finger bone that houses the tendons. This issue can be painful and in severe cases can cause the finger to be completely unable to straighten. The tendon found in fingers is called the flexor tendon. The flexor tendon can become irritated as it passes through the sheath tunnel. As it gets irritated, the tendon thickens, making it much harder to slide through. Sometimes the tendon sheath thickens as well, causing even more of an issue in straightening your finger. When you try and straighten your finger, the tendon gets stuck trying to enter the tunnel sheath. When it finally fits through, your finger may shoot out straight with a popping sensation. While we don’t know the exact cause of trigger finger, we do know some factors that put you at a higher risk of developing it. Trigger finger is more common in women than men. It is most often found in people ages 40-60. 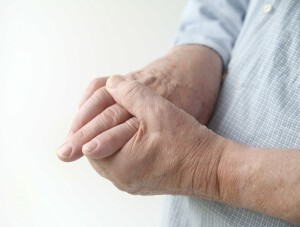 You are at increased risk if you have conditions such as rheumatoid arthritis or diabetes. You may develop trigger finger after repeated actions that can strain the hand or fingers. Trigger finger is relatively easy to diagnose. The doctor will ask you some questions to ascertain pain levels and the amount of mobility you have. They will look closely at your hand to see how the finger moves and to check for nodules. Before looking into more serious treatments, your doctor will first look to simple, nonsurgical options. You may need to rest your finger, using a splint to keep it immobile if necessary. Stretching after periods of nonuse can gently loosen up the finger. Over-the-counter medications such as acetaminophen or anti-inflammatory medications may be suggested to ease pain and swelling. Often, steroid injections are used. A corticosteroid is injected into or around the tendon sheath. This reduces the thickening of the sheath and allows the tendon to smoothly pass through. Steroid injections improve or correct trigger finger in up to 90% of people. If you have diabetes or have suffered from trigger finger for an extended period of time, steroid injections may not be as effective. Because trigger finger is not a threat to your overall health, resorting to surgical treatment is a personal choice based on the severity of the condition and how it affects your life. The surgery consists of making a small incision at the base of the finger or in the palm and cutting the opening of the tendon sheath. When the sheath heals, it will naturally be looser, allowing the tendon to smoothly pass through. We at Orthopaedic Associates of St. Augustine proudly have Dr. John Stark on our team to offer our community the most comprehensive hand treatment in the area. If you are suffering from what you think may be trigger finger, we encourage you to request an appointment online. If you have any further questions, please call us 904-825-0540.